The Triumph Tiger Explorer 1200 XC is the British motorcycle makers attempt to capture the "big bore" Adventure Touring market that was created and has been dominated by BMW for years. The Triumph Tiger Explorer is a great conversation starter as there are still a lot of people who are unaware that Triumph still makes motorcycles. Triumph created a new engine around its popular and proven trie cylinder engine. Weighing in at 1215 cc's, 137hp and 89 ft-lbs of torque the big Tiger comes with the goods in the engine department. At 570 lbs, the Explorer is one of the heaviest Adventure motorcycles on the market. 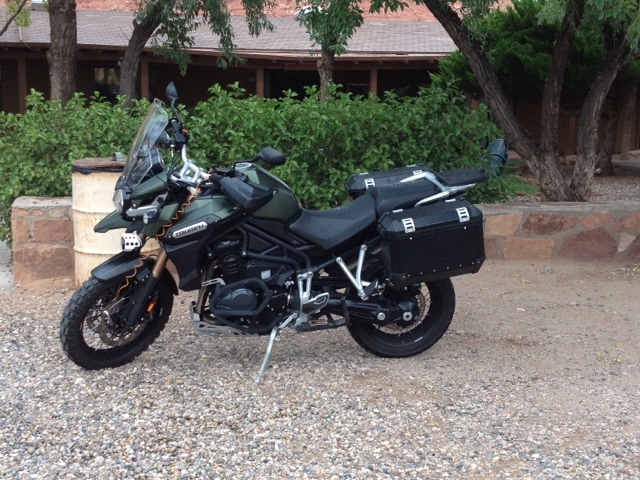 I had the opportunity to spend 6 days with the Triumph Tiger Explorer 1200 XC , riding 1,650 miles on and off road, and here's what I learned. Triumph Tiger Explorer 1200 XC "low" points. 1. The bike is heavy! 2. The suspension, especially on the front end, is too light for the weight. Especially if the bike is to head off-road. 3. The front fender MUST be higher off the front wheel to keep mud and other things from getting wedged between the fender and the tire. 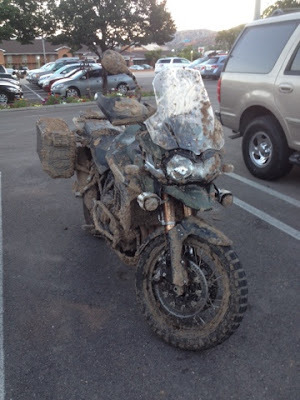 Triumph Tiger Explorer 1200 XC "positive" points. 1. The engine! I LOVE Triumph triples and this one's a beauty. It has two "personalities". One that is torque heavy at low RPM's which makes it great on the dirt and climbing hills. The other one begins at 6,000 RPM's when the Triumph's street DNA comes out. 2. The low seat height. At 5'11" I can plant both feet on the ground. Ground clearance is still more then enough for most off-road riding. 3. The Explorer is a great on-road motorcycle, especially on long runs. I enjoyed the "big" Tiger, especially the engine. 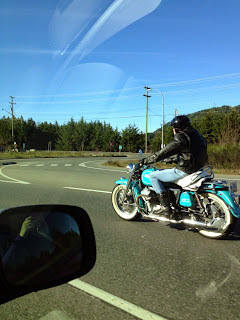 If Triumph decides to make upgrades to the suspension and a few other "refinements" this motorcycle has a great chance of taking at least a little bite out of BMW's pie.